Whether you're just getting into consulting or you're a seasoned consulting veteran but aren't experiencing the level of success and results you truly desire, this book offers you the advantage you need. 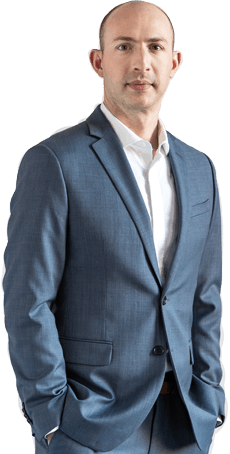 Michael Zipursky, CEO of ConsultingSuccess.com and coach to elite consultants, has coached and trained more than 6000 consultants from around the world. In this book, Michael identifies the most significant factor in your success: your mindset. How to build confidence by confronting the four major questions of self-doubt. 3 specific steps you can take to attract ideal clients consistently. Simple shifts you can make to increase your fees by 300% or more. The best business model for consultants to achieve meaningful success. Practical ways to turn failure into a growth opportunity and use worry to your advantage. By applying these proven mindset shifts and the principles that Michael shares with you in The Elite Consulting Mind, you can achieve meaningful, even limitless, success in your consulting business. 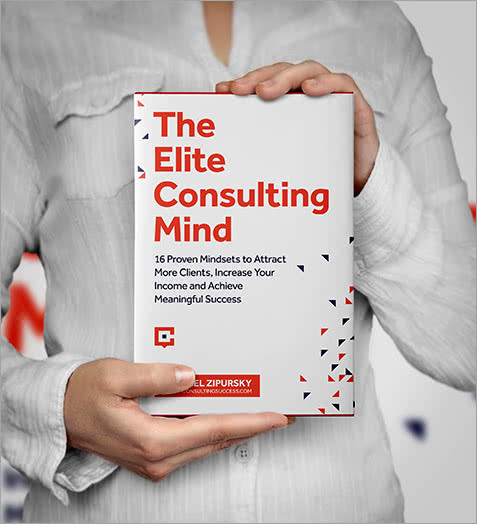 Offering great benefits to new and seasoned consultants alike, the Elite Consulting Mind is a valuable read. Michael Zipursky shares smart tips and strategies to help you grow in confidence, attract ideal clients, increase your prosperity, and more. An enjoyable, savvy, and actionable book!" You can purchase the Elite Consulting Mind in both paperback and Kindle versions directly from the Amazon website. There are so few books out there on topics like consulting that are written by people who have the depth of experience to add value to the conversation - Michael goes places with this book that you can only go if you've been there and that's the ultimate value of this read." CEO of ConsultingSuccess.com and coach to elite consultants, Michael has coached and trained more than 6000 consultants from around the world. In this book, Michael identifies the most significant factor in your success: your mindset. Michael shares with you the principles used by himself and the elite consultants he privately coaches that will help you overcome challenges, remove obstacles, and grow your business and success significantly. Somebody introduced me to Michael's work, and I've been very glad for the breath of fresh air. He's one of the few consultants actually giving good advice." Consistently attract ideal clients, win high-value proposals, and scale your consulting business with confidence. How effective is your marketing system in attracting clients? You’re a great consultant. You know how to provide value for your clients and help them reach their goals. However, if you’re like most of the consultants we’ve worked with over the last 18+ years, your challenge isn’t doing the client work, it’s getting more clients. And most importantly, what you want is to attract ideal high-value clients on a predictable and consistent basis. Many consultants find that referrals help them to get their first few clients. But referrals from your network don’t always last. In fact, the most successful consultants don’t rely on referrals. They don’t “rely” on anything. They take action. They master their marketing and sales. They build a system that predictably drives new leads and ideal clients. It’s a system that once planned and built (the RIGHT way) becomes one of their highest points of leverage. It’s what drives the growth of their business and makes it so profitable, consistent, and sustainable. We help our clients and coaching students create these systems and they consistently get results. That’s exactly what the Accelerator Coaching Program is all about. We work with a small group of dedicated consultants and teach them how to consistently attract ideal clients, earn higher fees, win more proposals, and achieve meaningful success. The difference between those who do and those who talk about doing is what sits between their ears. Having an Elite Consulting Mind is not optional. It's critical for success. This book gives you all the tools you need."